Oh my gosh — I gasped when I saw this! Lol, looks like your little dog was having a fun day! I did end up with some muddy floors but an hour later HE was spotless. 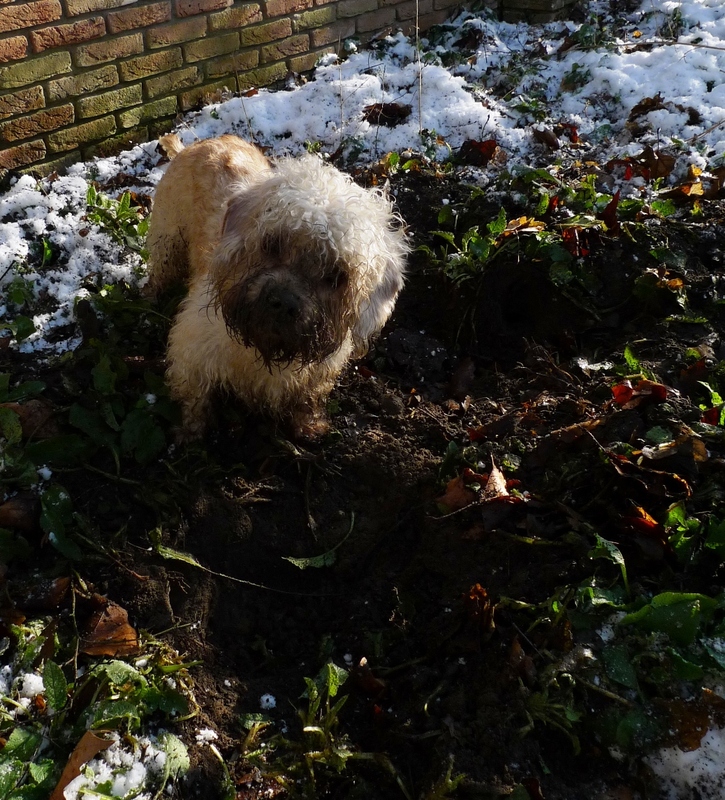 Dandies have a double coat and the texture perfectly repels mud which is just as well as they do love digging. But that face! That face and this photograph are priceless! Our little dog digs like that, but has never gotten THAT into it, LOL! !